CINCINNATI -- Cincinnati isn't just chili and ice cream. Our region has some iconic restaurants that speak to our history, tastes and the future of Cincinnati food. 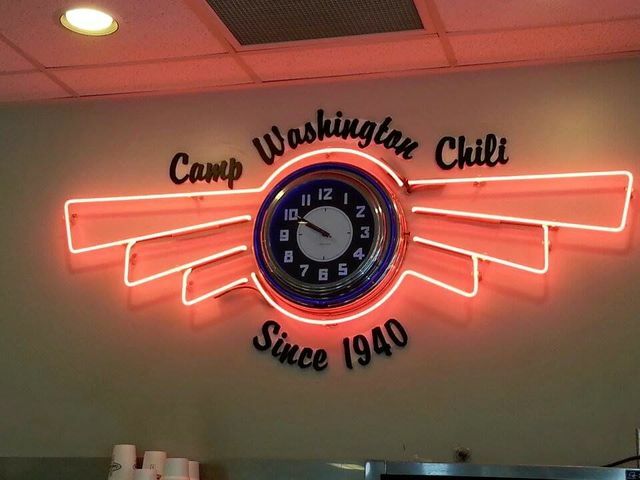 Camp Washington Chili (Camp Washington): This iconic chili parlor in Camp Washington is the best example of Cincinnati chili parlor culture. There aren't just three-ways and cheese coneys here. 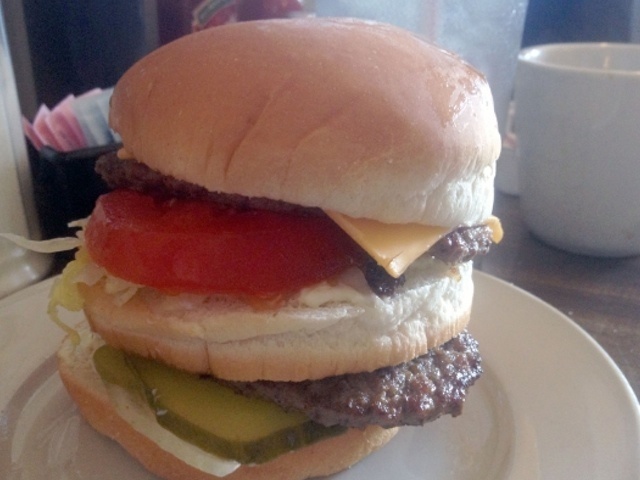 It also serves killer double-decker sandwiches (another Cincinnati favorite) in an environment that evokes the heyday of chili parlors in mid-century Cincinnati. The Celestial Steakhouse (Mount Adams): With live jazz and a view of the glittering Cincinnati skyline, this spot is a AAA Four Diamond award winner and a perennial classic on the Cincinnati dining scene. The menu doesn't take any risks, but this is a restaurant that Cincinnatians of a certain age talk about fondly. The Precinct (Columbia Tusculum): Another Cincinnati icon is Jeff Ruby. His steaks are regularly rated the best in the country, and he has trained front-of-house staff to meet a standard of excellence that can be felt citywide. The Precinct is his most iconic location: It's his first, located in an old police precinct in Columbia Tusculum, and it's decorated with old photos of police officers from the district. Though times have changed since it opened in 1981, the quality of service (and food) has remained the same. Jean-Robert's Table (Downtown): The Maisonette, where Jean-Robert de Cavel got his start, was the longest-running five-star restaurant in the country during its day. While it's now gone, de Cavel has continued to advance Cincinnati's culinary scene, both as a restaurateur (with Table, Le Bar A Boeuf, Restaurant L, Frenchie Fresh and French Crust Cafe) and via the scores of chefs who have trained under him and gone on to open their own restaurants. Orchids at Palm Court (Downtown): Walk into this Art Deco beauty, and you will think you're somewhere special; open the menu, and you'll know it. The Palm Court was already an iconic location (it's on the historic register), but in recent years, it has evolved into an exemplary award-winning restaurant. Orchids has received multiple AAA Five Diamond awards and topped every "best of" list you can imagine. Chefs Todd Kelly and Megan Ketover have set the standard for fine dining in Cincinnati: creative, local, not too formal, but still very special. Boca (Downtown): Its location is the storied former home of the Maisonette. Chef David Falk keeps some of the traditional Maisonette dishes alive (pommes souffles with bearnaise, or the famous Maisonette souffle, available once a year during Boca's holiday lunch), but he also has modernized the menu, the space (with artwork curated by the Weston Gallery, another Cincinnati icon) and the staff. 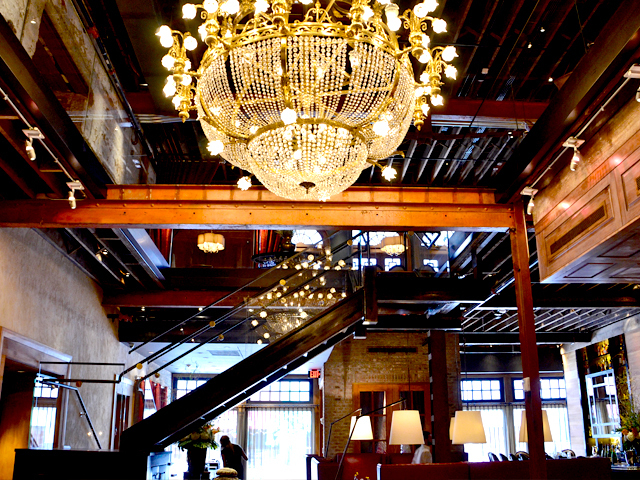 While you can squint and imagine its former life as the Maisonette, Boca pays homage to the old while reflecting how Cincinnati has grown and changed since the 1960s. Tucker's (Over-the-Rhine): Behind a faded storefront on Vine Street, north of Liberty and a block or two away from the hustle and bustle of the Gateway Quarter, is Tucker's. Owned by Joe and Carla Tucker (Joe slings the hash, Carla does prep, runs the register and has a smile for everyone), you would never guess by looking at it that it's been profiled in Saveur and is a mainstay of Cincinnati's restaurant scene. It's also one of the most inclusive restaurants in Cincinnati. You're as likely to see a young professional from a tech startup as you are a Franciscan priest or a homeless man. That's because the food is fresh — definitely a step above standard diner food — and the service is friendly. Whether you want eggs and goetta or some of Joe's shrimp 'n' grits (some of the best in the city), you're welcome there. The Golden Lamb (Lebanon): It's the oldest continually operating business in the state of Ohio and has hosted everyone from Mark Twain to American presidents and an English prime minister to probably your grandparents for Sunday brunch. In 2015, Thrillist named it the most iconic restaurant in the state of Ohio. The menu — featuring classics and some new twists — still has the familiar feel that has welcomed guests for years. Anchor Grill (Covington): "We may doze, but we never close" is the Anchor Grill's tagline. Yes, it's technically just across the river in Kentucky. But this greasy spoon, open 24/7, appeals to both the bar crowd and everyday Cincinnatians looking for an inexpensive breakfast any time of day. Sure, it's a little shabby, but the homemade goetta can't be beat, and you can play a song on the jukebox while people watching during the late hours.